Carlbot does what the most popular bots do but does it better, faster, and without the meme commands that spam and annoy you. Carlbot has been used to reduce the number of bots needed in a server from 3 to 4 or more… to just 1. Blazing fast, sleek design and instant updates. You can't go wrong. Carlbot can assign a role to users as they join your server, and with stickyroles – reassign that role if they leave and rejoin. Carlbot's reaction roles are fast, extremely easy to set up, customizable and don't limit you. 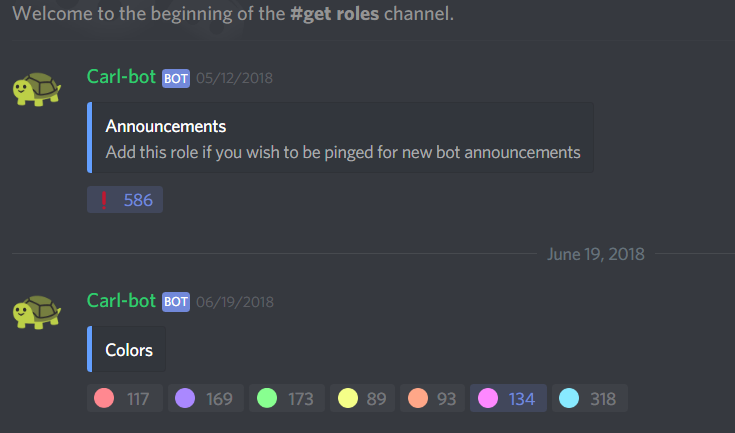 Unlike some other bots offering reaction roles, Carlbot allows for 'unique roles' meaning members can only pick up one role from a message (useful for colors). What limits does it have? 250 total reaction roles (1000 for patrons) other than that? Pretty much nothing. ‣ Need to add 250 roles to a single message? Odd, but technically doable. ‣ Want a role to assign one of many roles but for all reaction roles to apply a divider role? 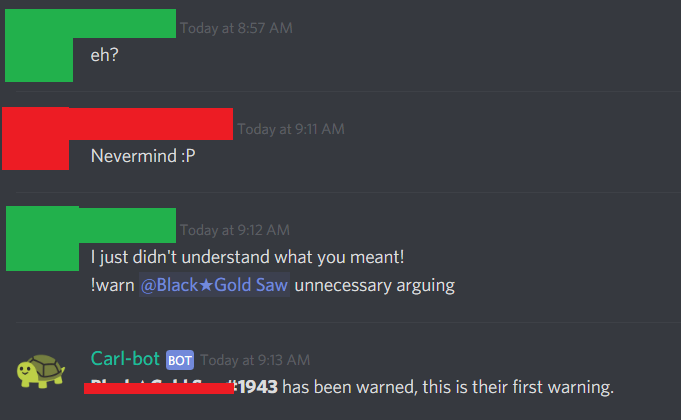 This bot does that! 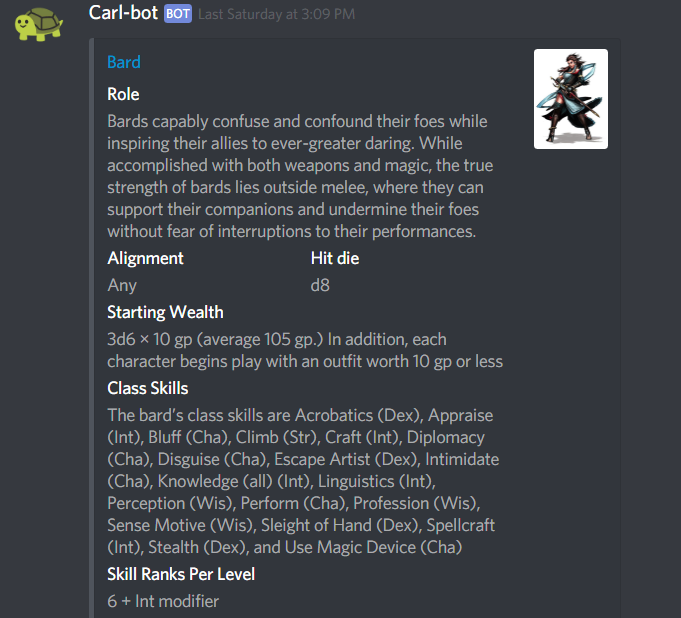 ‣ Want to limit the number of people with a role? Doable! ‣ Want the message to self-destruct? ‣ Want to blacklist roles from picking up roles? ‣ Want a reaction role bot that's blazing fast with anti-abuse built in? This bot does it all. 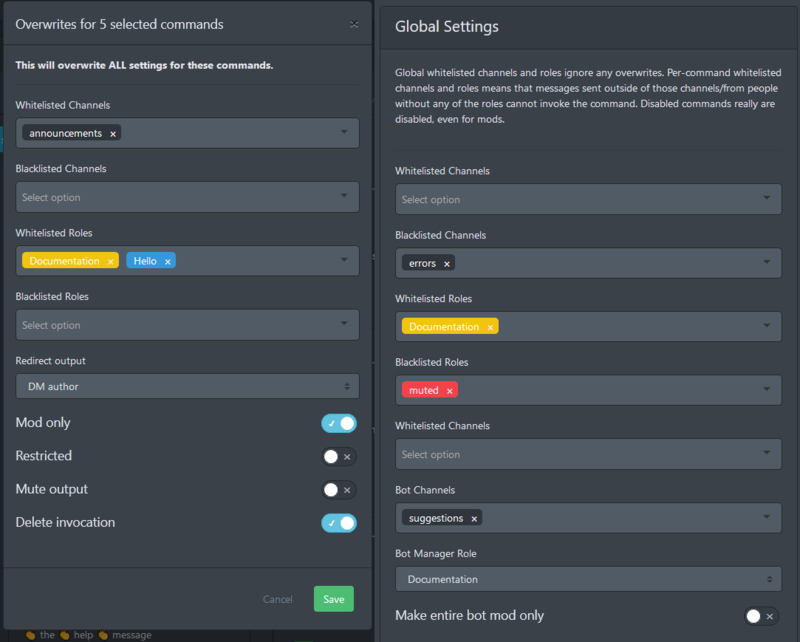 ‣ Want to put one role on one message per channel? Go for it! Is it against your server’s rules to post invite links to other servers? 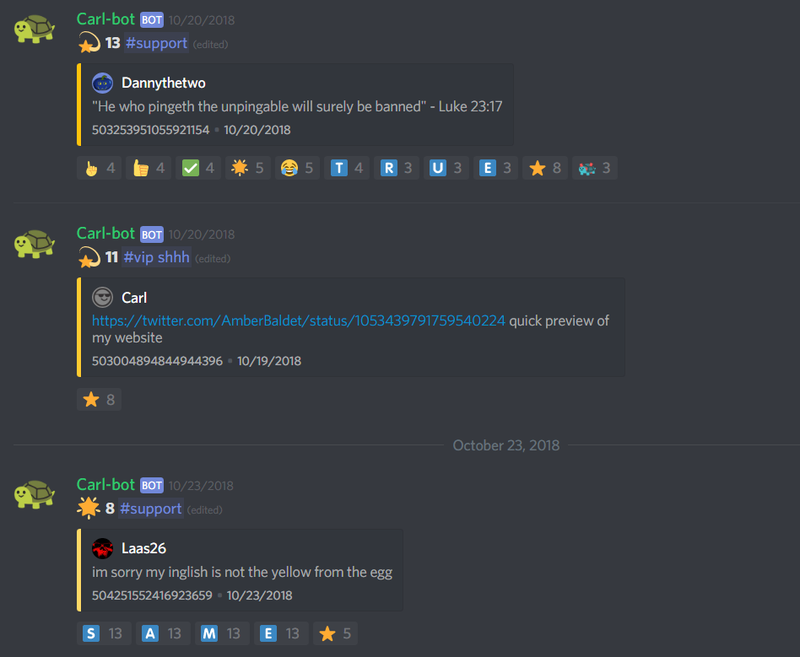 Carlbot’s automod features will automatically carry out specified punishment actions including the ability to delete the message immediately, temporarily banning or muting the sender, etc. Extensive Logging - "The consequences of every act are included in the act itself"
No one is a Big Brother quite like Carlbot. Know when members join/leave/create invites/change their nickname or avatar and much more by logging server and user actions with Carlbot. With the possibility of splitting logging into five separate channels, the bot makes sure you get all the info with zero clutter. A user edited a message to try to cover their tracks of behavior against your server’s rules? Carlbot will show you that. Customization - Let Carlbot do even more for you. Seriously. Before you ask: of course you can use them in autofeeds, custom tags, and more. 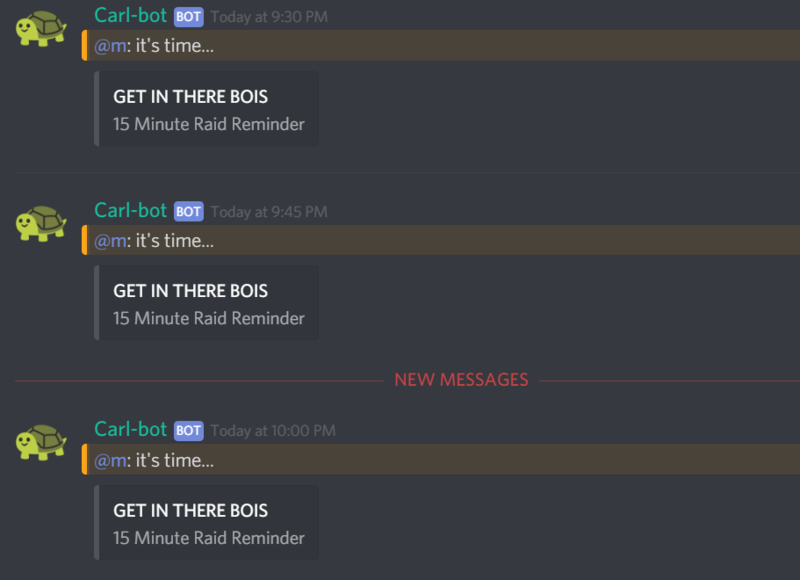 Carlbot is just that good. Want to support the dev and learn more?